Ron and Kim have served with AFBM since 1988. 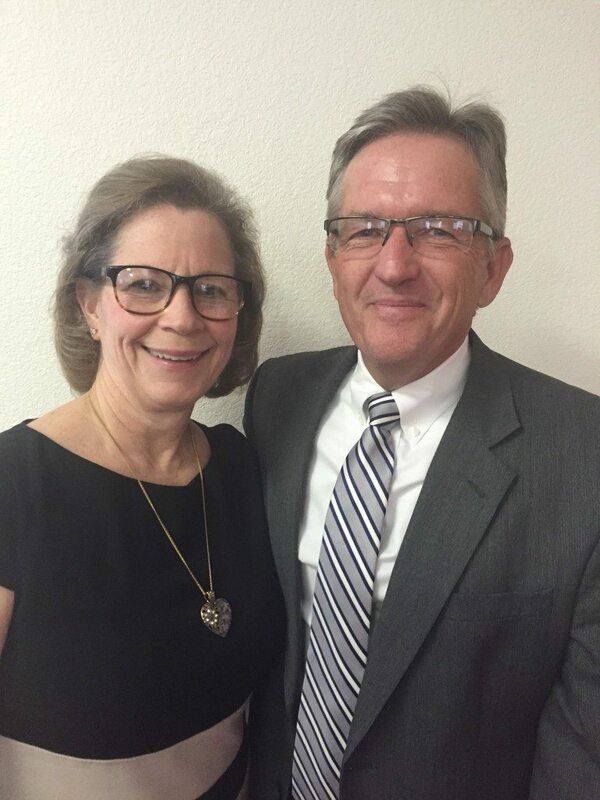 It was in 1981 while serving at Ft. Lee AFS (20th NORAD) that Ron came in contact with Servicemen For Christ Baptist Missions (former name of AFBM) through his local church (Temple Baptist pastored by Walt Coles). He was enjoying his responsibilities as a “weather guy” when God changed his plans at a missions conference in 1982. Reaching military members with the glorious Gospel of Christ is far better than watching clouds! Ron and Kim would serve first at George AFB in the Mojave Desert before the base would close in 1992. Just before that closure (Father’s Day 1991), they would have the joy of planting Victory Baptist Church with some young airmen, most of whom continue to serve the Lord in local church ministries across the world. Ron trusted Christ as his Savior as a young boy after a Sunday evening service in his parent’s bedroom in Norwood NY. Kim was born and raised in a Christian family, but it was not until she was a young adolescent that Kim realized her eternal destiny depended on a personal relationship with Jesus. After grappling with her insecurity about her eternal destiny for many nights, Kim’s godly mother led her to the Lord, reviewing many scripture verses she had already memorized throughout her childhood. After graduating from high school, Kim attended a Christian college, graduating with a nursing degree. While working in VA after graduation, Kim met her husband Ron who was still in the military. While on deputation for Armed Forces Baptist Missions they attended the funeral of Corporal Gary Isaak, the only marine killed in “Operation Just Cause.” Having never been involved with any type of military life, this was unfamiliar territory for Kim. It was through this incident that the Lord showed Kim her mission field as she scanned the church and saw hundreds of marines witnessing the funeral of their comrade. Kim enjoys preparing meals for and hosting single airmen and military families as well as teaching Ladies’ Bible studies for the women of the church. God has given Ron and Kim three wonderful children. They have no grandchildren yet, just two handsome and active grandpups. God calls AFBM missionaries to serve in unique ways around the globe. Maybe He is calling you to have a special role in Ron and Kim’s ministry in California. Please pray about partnering with them through prayer and/or financial support. Contact the Smiths for more information and to sign up for prayer letters.